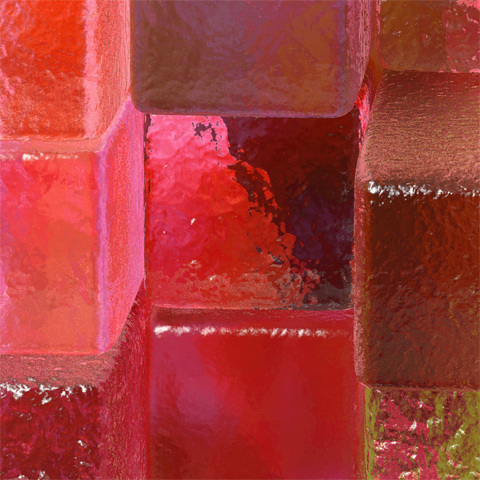 This work is the second exploration into the theme of an arrangement of rough blocks with varying colors and materials. Like Block Variation No. 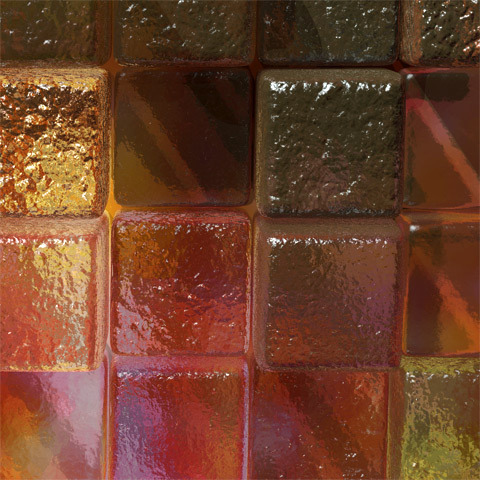 1, this variation explores varying colors using an ice-like, glassy material, but in this variation I am playing on the contrast between the dark opacity around the edges against the highly developed and refractive colors near the center.